The Raw Food Revolution Diet | Brenda Davis R.D. 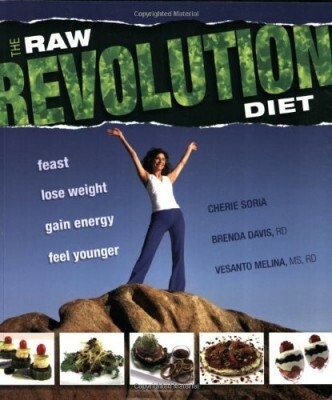 The Raw Food Revolution Diet by Cherie Soria, Brenda Davis, and Vesanto Melina , 2008. Discover how a raw foods diet will balance your weight naturally. This collection of recipes for imaginative, delectable, accessible and enticing cuisine is a far cry from a discipline limited to salads and sprouts. You’ll be able to enjoy delicious, easy-to-prepare meals without feeling deprived. And you’ll experience how raw foods can improve your health and make you feel more alive. Practical tips make it easy to choose the raw diet plan that’s right for you with handy menus to get you started. A “How To” section on putting together a raw food diet that is nutritionally sound ensures that you receive the nutrients you need as you achieve your natural weight.